basalt fountains, eye-catching granite furniture, and salvaged artifacts. 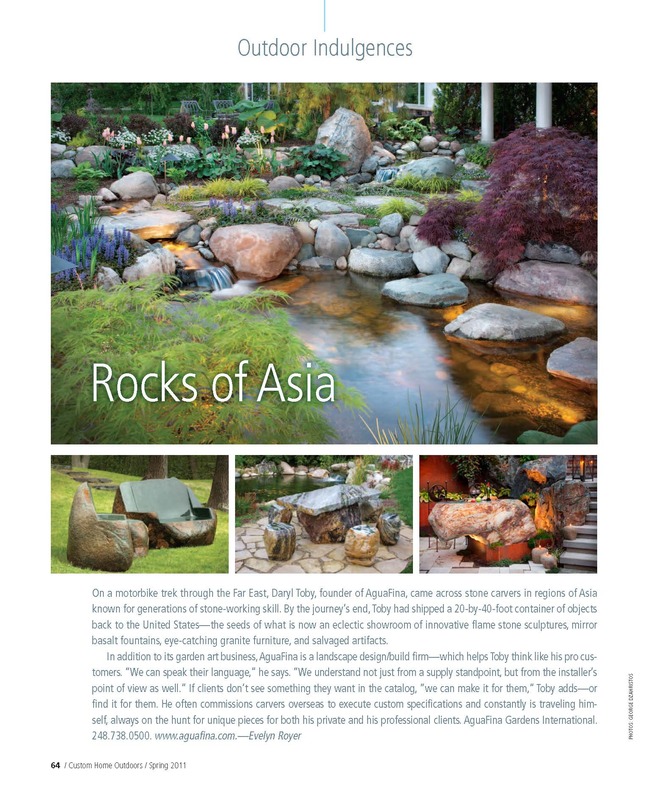 In addition to its garden art business, AguaFina is a landscape design/build firm—which helps Toby think like his pro customers. always on the hunt for unique pieces for both his private and his professional clients. AguaFina Gardens International.